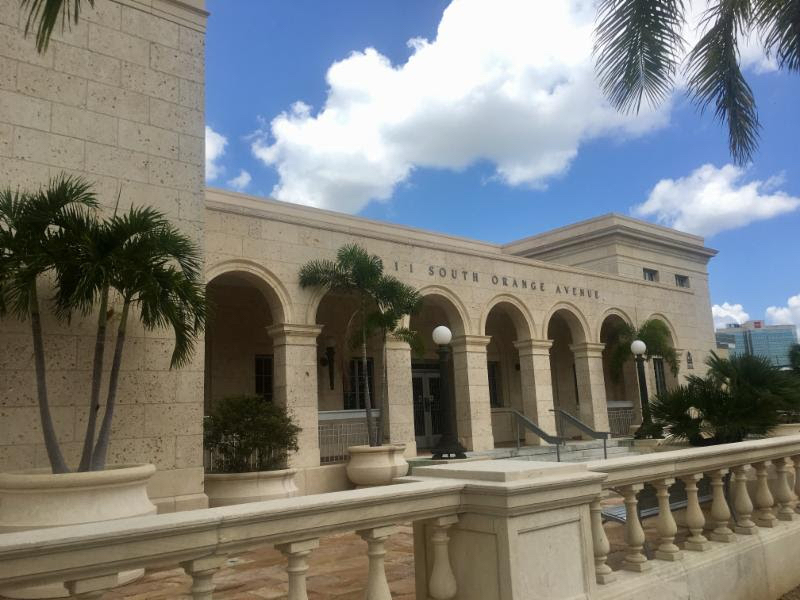 The City of Sarasota has been awarded “a significant historic preservation grant from the State of Florida” to help cover the cost of improvements to the city-owned Federal Building, located at the intersection of Orange Avenue and Ringling Boulevard in downtown Sarasota, City Manager Tom Barwin announced in his July 14 newsletter. The city will receive a $297,000 grant from the Florida Division of Historical Resources, Barwin wrote, and the city will provide a match of approximately $148,000. Altogether, he continued, $445,000 will be invested in the building, which was constructed in 1934 as part of President Franklin Roosevelt’s WPA job creation program. The grant will fund the hardening of the building through use of removable hurricane screens for 63 windows, Barwin pointed out. Additionally, new equipment will be installed to improve the cooling of the air, the balustrades will be restored and the building’s exterior will be cleaned, he wrote. “Congratulations to the City’s grant writer, Laura Wittenbauer, who did the heavy lifting submitting the application,” Barwin added. She also helped land a $500,000 historic preservation grant last year for renovations to the Municipal Auditorium and Bayfront Community Center, he pointed out. “Without these significant state grants, it would be a financial challenge for the City to renovate and preserve these stunning historic landmarks,” he wrote.